eatures: Microbe-Lift/Lice and Anchor Worm is the most effective treatment for diseases of fish caused by lice and anchor worms. When used as directed, it will not harm biological filtration and may be used on scaleless fish. 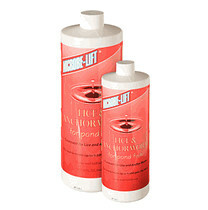 Microbe-Lift/Lice and Anchor Worm may be used in any water temperatures above 40°F.